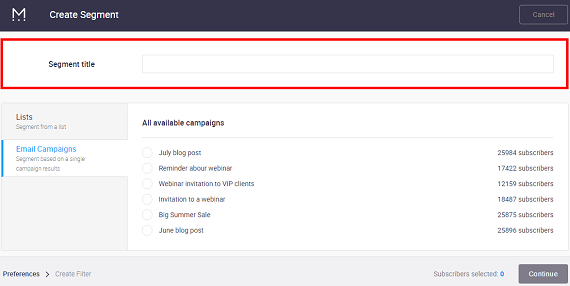 Select the option Segments from the Lists dropdown. This will open the Segments Window. Click the button Create New Segment. Then enter a segment title. 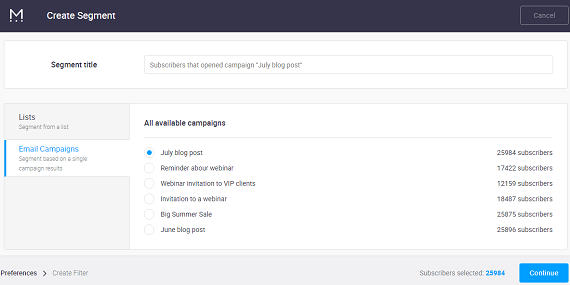 Finally, select the campaign upon which you wish to base the segment. 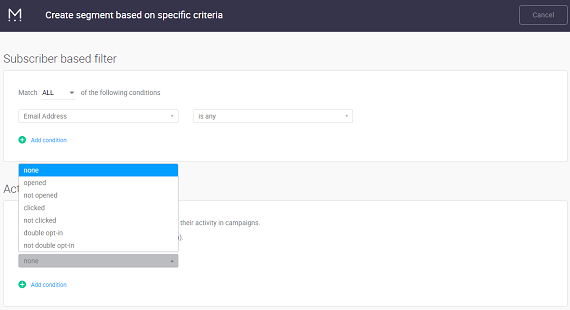 Once you have selected a campaign, you need to filter the campaign for those subscribers you wish to include by selecting a match type (condition) and a data point against which you wish to match subscribers (i.e., by email, first name, last name, or any custom field you have added to the list).